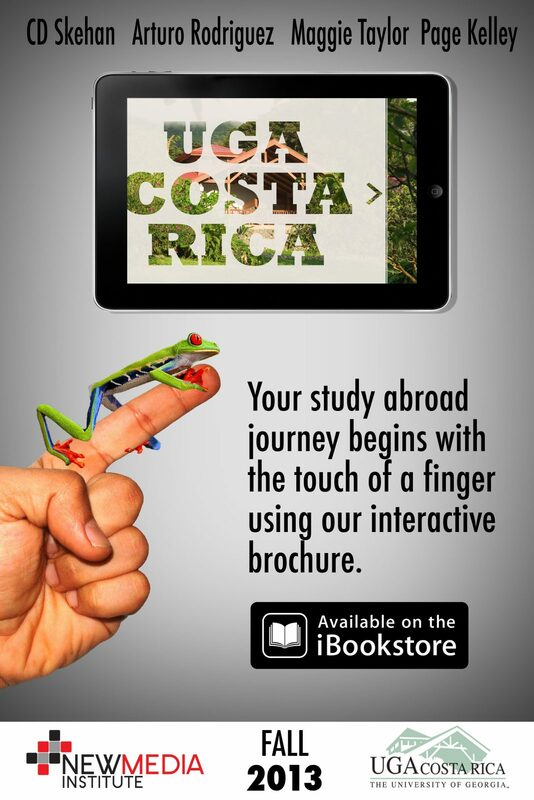 The UGA Costa Rica project is a multimedia, interactive iBook-style website that leads you on a grand tour of UGA’s award-winning Costa Rica Study Abroad. This interactive experience not only promotes the expansive UGA Costa Rica program but brings you closer to the wonderful, hidden world of Costa Rica through visual design, interactivity, and a friendly user experience. The web application includes extensive photo galleries, student and faculty testimonials, pop-up captions, 360 tours of academic and residential facilities, and a plethora of other beautiful content. The application’s Program Calculator can determine major-appropriate programs, class compatibility, cost, and any financial scholarships needed to attend this once-in-a-lifetime program. We are excited to be working with UGA Costa Rica and to present their amazing program to UGA students in an innovative digital manner.